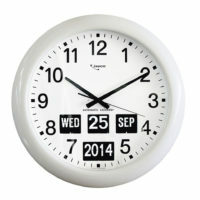 Categories: Calendar Clocks, Digital Clocks. 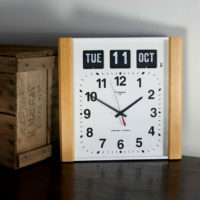 Tags: 12 or 24hr clock, Budget Calendar Clock, Clock for Alzhiemers, Jadco Time Clock, LCD Calendar Clock, Perpetual Calendar Clock. 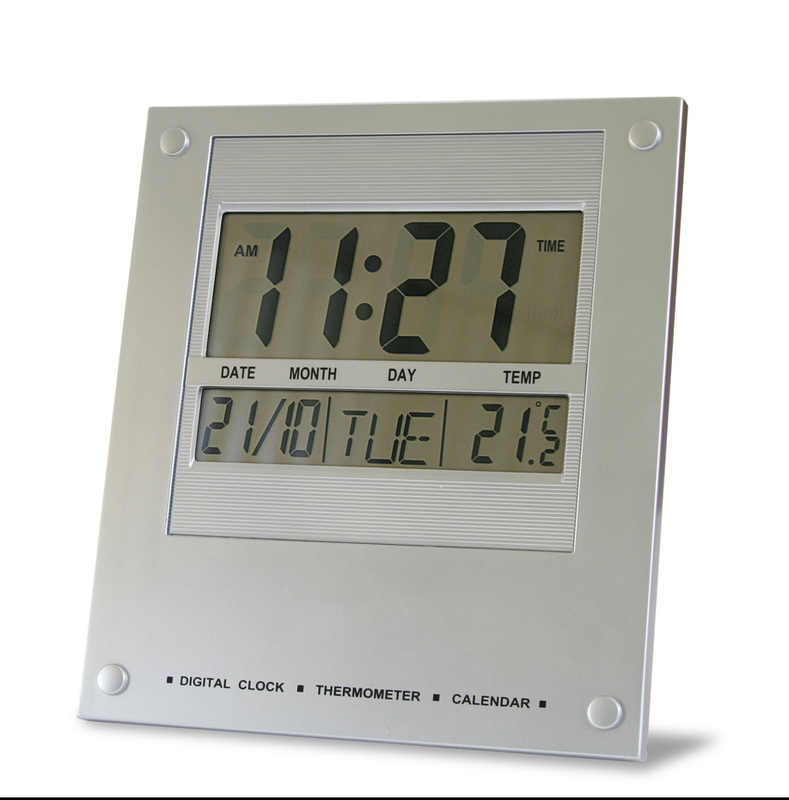 This affordable, easy-to-read LCD calendar clock has a European date format – unlike many LCD clocks which have the month and date the other way round. 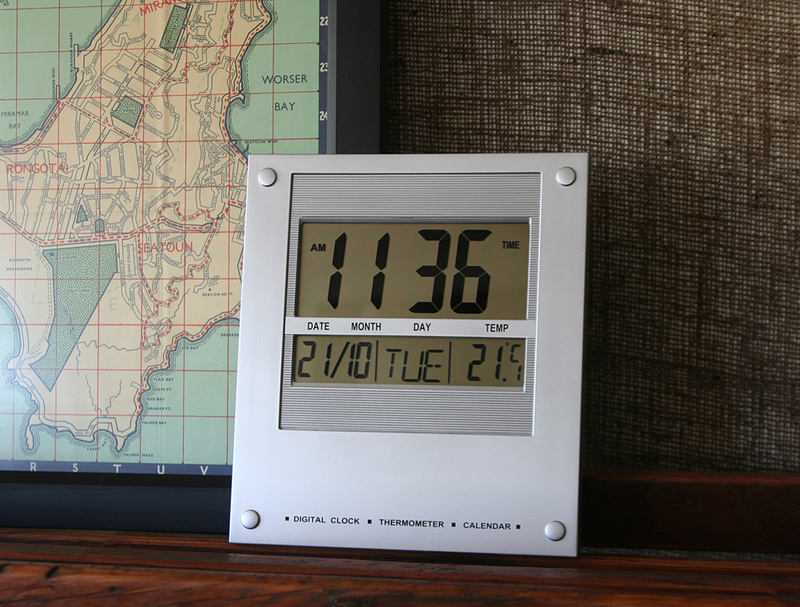 The display shows hours, minutes, Day-of-the-Week and temperature. 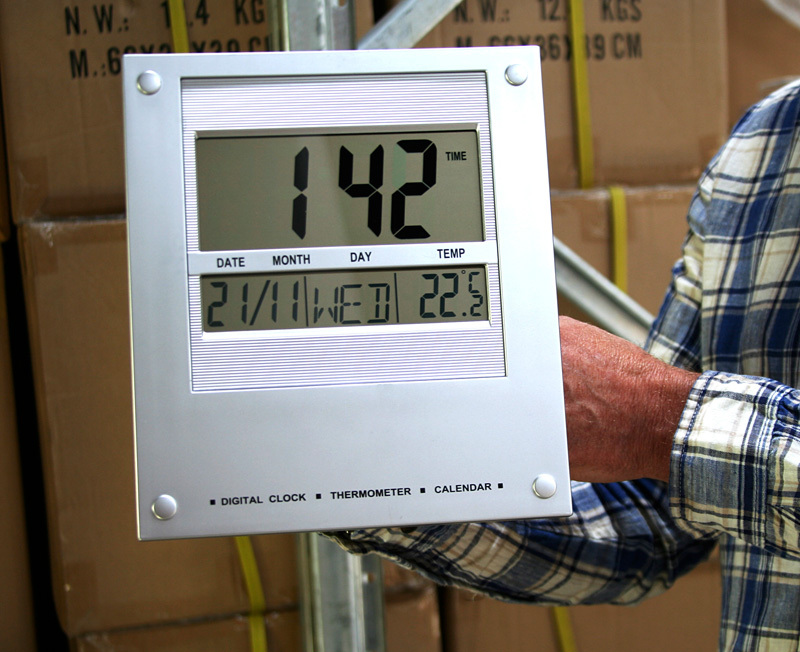 Options of 12 or 24hr format and C/F temperature. 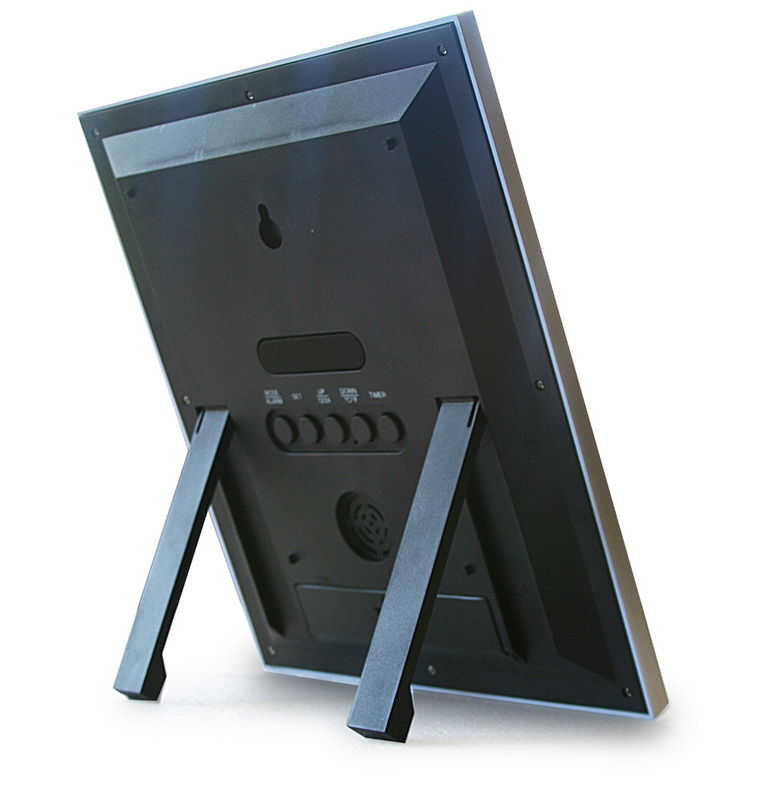 Slimline silver finish case can be wall or desk mounted.